Located in the heart of Buckhead and considered to be one of the most prestigious areas and home to one of the most enthusiastic art buying communities in the Atlanta metro area. Rain or shine, visitors from all over the country enjoy this event. The Buckhead Fine Arts Festival is a two-day fine art outdoor festival, located in Buckhead, Atlanta, this neighborhood is rich in tradition and has one of the highest and richest demographics in metro-Atlanta. 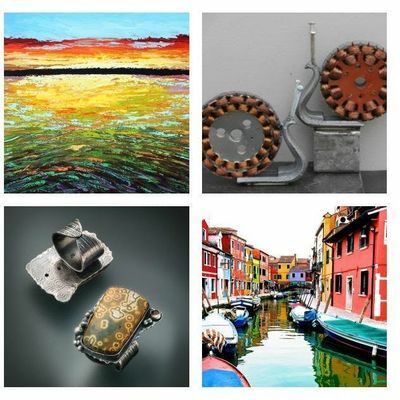 Featuring approximately 100 painters, photographers, sculptors, metalwork, glass artists, jewelers and more! The Festival will also offer artist demonstrations and live acoustic music. The Buckhead Fine Arts Festival is organized by the Atlanta Foundation for Public Spaces, LLC and a board of experts in various artistic disciplines, which has a long history of building some of the most notable events in the south with several holding spots in the TOP 100 in the nation. The festival will uphold the highest standards supporting the arts and offer participating artists the environment to nurture an appreciation for their skills. For more information about the festival, please visit www.buckheadartsfestival.com. Sat., September 21, 2019 from 10:00 a.m. – 5:00 p.m. Sun., September 22, 2019 from 11:00 a.m. – 5:00 p.m.